Where users want to interact with your product will inevitably change. Hugh Durkin, Senior Product Manager at Intercom, spends his time studying how products must evolve to keep up. Following several years of developer ecosystem work at Facebook, Hugh joined Intercom to launch our Developer Platform and Program. This now includes integrations with Slack, Facebook, Fullstory, Wootric and more. Hugh’s latest post, “Browsers, not apps, are the future of mobile”, is a must-read for anyone whose work directly or indirectly relates to building software. It generated a great deal of external (and internal) debate, and in response, I invited Hugh on the podcast to further explain his thinking. Our chat covers why product builders should care whether apps or browsers win out and the implications for B2B and B2C products, as well as what shopping malls and fast-food chains can teach us about platform building. When it’s said that browsers are replacing apps, the former casts a wider net than you might think. This is because browsers are simply destinations where we discover relevant information, whether that be Google, Facebook or Slack. The fall of apps isn’t because most people are consciously deciding to delete them from their phone. Rather, it’s a gradual realization that to get the information they need as quickly and easily as possible, people are changing their habits. If you’re going to build a brand-new product, first pinpoint the problem you’re trying to solve, and then the service you can provide that solves it. The customer’s route in (app, browser, etc) comes later. A lot of companies fail because they try to do everything at once. A platform can solve this, but you must get comfortable partnering with and investing in people that don’t work for your own company. That also means sharing risk. If your primary goal for a platform integration is to seize a distribution opportunity, you’re highly unlikely to build something useful for your customers. Instead, focus on smaller opportunities that present mutual value. John Collins: Hugh, welcome to the show. You wrote a post recently, “Browsers, not apps, are the future of mobile”. As a product builder, why should I care whether apps or browsers win out? Hugh Durkin: If you’re a consumer, you don’t really care at all, you don’t even notice these things. But as a product builder, you should care a lot. It’s good to understand technology cycles and where we are in them. We often forget about what’s happened in the past and we should never forget a lot of those things. The whole browser versus apps thing, it’s rooted in the history of the internet and the way the world used to be in the ’90s, when I started using computers. We forget that in 1996, if you wanted to find out who was the President of the United States in the ’70s, you would probably boot up your computer and open up Microsoft Encarta, which was installed on your computer, to find that information. If you wanted to do your accounting, you would probably, again, boot up your computer and open up Sage 50, which was installed on your computer. If you wanted to write an email, you would do it in Outlook Express in offline mode with the software that was installed on your computer, dial up, and then send it. That’s very different from today where if you want to find anything about anyone, you look it up in Wikipedia. If you want to do your accounting, you use something like Xero. If you want to write email, you use Gmail. The difference between those things is they’re all through the browser, over the internet. The thing that’s changed in between is connectivity. In the ’90s we had dial up, not even very good dial up, and we spent most of our time in offline mode. We had to use these locally installed pieces of software to do anything with our computers. Fast forward to 2007 when the iPhone came out, and the same is true. We had 2G, and connectivity was really patchy. When the iPhone launched, and a lot of people forget this, Steve Jobs basically said he didn’t want native apps. He wanted web apps, HTML5, but had to relent because they had this connectivity problem. Where we’re going now for mobile is through the cycle of eminent 5G – we have WiFi all over the place – so those things we needed native apps for we can increasingly just do over the internet because we’re connected. It’s followed the exact same technology cycle and path as desktop computing. John: Your definition of browser is pretty broad. You’re very much thinking of the full gamut of things that effectively are browsers, but they’re not Safari or Chrome. We don’t share apps, we share URLs. Hugh: Again, we constantly forget everything, including where we spend our time. Back in the ’90s, the definition of a browser was this thing you opened up if you were dialed up to the internet. You’d go into it, use a search bar to type in a URL or a web address, or search in Altavista or Lycos, and it was all about this experience of pulling content to you. You had to go and discover it yourself. All of this is just about finding information in different ways. On a mobile, we spend so many hours in messengers or on Facebook, and we’re discovering information that’s relevant to us based on friend recommendations. It’s still browsing. We don’t share apps, we share URLs. It’s still browsing the internet, but it’s just a different way of doing it. It’s more like push versus pull. If you look at Facebook, especially on iOS, when you open one of those URLs, it has the web address at the top, it’s got back buttons, all that a traditional browser would have. Those really are just a new type of browser. In traditional browsers on desktop, we’ll probably see them merge even more, where they have messaging functionality built into them as well. John: So for instance, at work Slack is the browser a lot of us are using. Hugh: Yeah, same kind of thing. Back in the day, if you wanted to find a document, you’d have to walk over to somebody’s desk and get them to email it. You had to request it. 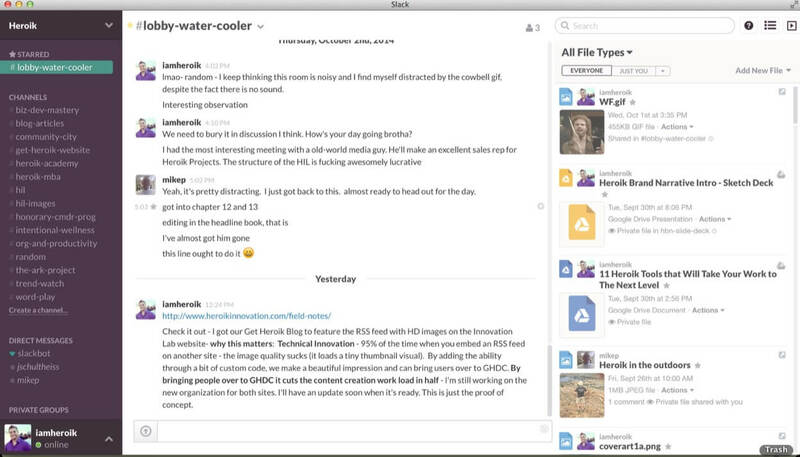 Now, Slack pushes you the stuff that your colleagues or Slackbot think is useful. For many of us, Slack is becoming the default browser we use at work. John: Aren’t there some jobs that mobile apps are really good at, or do you think that was really just a solution for a point in time where connectivity was not as universal as it is now? Hugh: There are definitely use cases for native, locally installed apps. One is communication tools, which social networks and messengers are. A native app is useful for things you might spend hours a day doing, at least today anyway. For most other use cases, I don’t see the point. Say you’re searching for a flight. I don’t know why you would need to go through the friction of downloading an app just to do that. Just do a search on the internet, and it’s just instant. John: A lot of brands are actually killing their native apps. Hugh: Patagonia is one example, and there are a few more. Last year Burberry released a lot of information about how their mobile e-commerce offering is increasing their overall sales. What they failed to mention is they don’t actually have a native app. There are lots of retail brands who’ve already gone down that path. I think we’ll see travel go down that path too. It’s becoming more of a thing all the time. 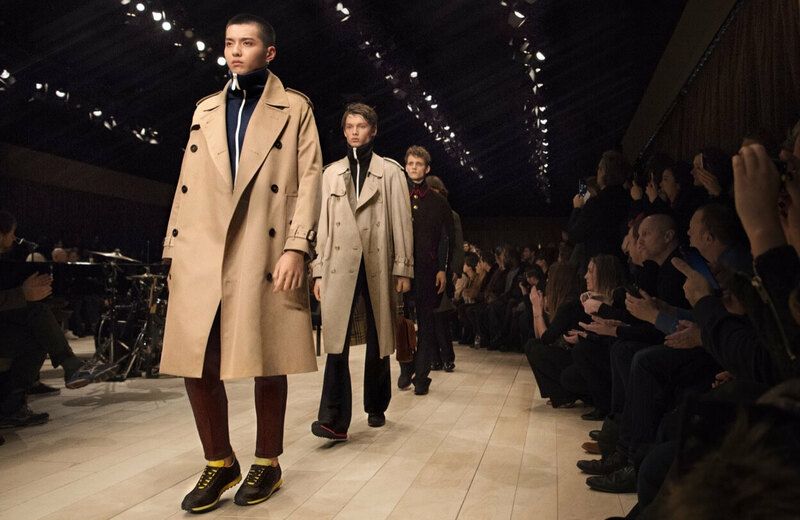 Fashion brand Burberry has reported strong mobile e-commerce sales but it doesn’t have a mobile app. John: There’s a feeling that some people are turning against apps because they feel they’re being tracked and targeted with ads all the time. At least with a browser, you can employ an ad blocker. This is all about information retrieval at the end of the day. Hugh: The majority of people aren’t consciously deciding to delete all the apps off their phone. It’s just this gradual realization that to get the information they need – and this is all about information retrieval at the end of the day, and content curation and consumption – people are changing their habits and doing it a different way. I don’t think people are consciously thinking, “I don’t trust this thing.” There definitely is an issue. If you think about when you visit a URL, you just visit the URL and you don’t worry about it too much. Whereas if you’re going to download an app, you might wonder what will happen to the data after you’ve downloaded this thing onto your phone. I’m not too sure the majority of people consciously think that way, but it could be a factor as well. John: It’s been awhile since someone has said to me, “hey, have you seen this great new app?” We all spend our time in a small number of apps – the big messengers, big social networks. Is that a failure of the App Store model? Is discovering new apps or new apps breaking through more difficult than, say, three years ago? Hugh: It’s not very useful searching across a bunch of stuff that’s defined at the OS level. If you search the App Store, you’re searching through Apple’s lens of the world. Whereas if you search the internet, it’s this standard-based thing that’s pretty well defined. There’s definitely an element of discovery there, but think back again – apps were this way to get more utility from a phone that was offline unless people were using the internet. Search functionality in the App Store probably had more usefulness then, because people were literally searching for stuff to do to get more value out of their phone. Today people don’t really search for apps anymore. Even just thinking of apps as a thing on their own is kind of pointless. An app is literally just one interface into a service. What people want is a service, or information, or content, or whatever it is, and they don’t really think too much about how they get it. Naturally, they’re just doing it over the web, and I think that’s probably what’s driving lower installs in the App Store. John: So if Uber pops up in Facebook Messenger when you mention an address, people would be just as happy with that as they would be opening the Uber app? Hugh: Yeah, even better, you don’t have to download anything. There’s no friction. An app is literally just one interface into a service. John: Does this thinking apply to B2B as much as it does in the consumer world? Hugh: It’s the same. I’m probably oversimplifying it, but if it’s all about information creation and consumption, the same thing happens in work as it does in your personal life. In your personal life, you might want to book a flight to go on holidays, but B2B, you might want to book a flight to do a work trip. At home, you might want to craft an email to send to your friends, or you’re doing a Facebook message, same applies in work too. We actually share a lot of the same jobs across our personal lives and our work lives. Look at Dropbox. Dropbox scaled as a tool because they give it away for free first so people use it in their personal lives and then it kind of creeped into the enterprise. I don’t think there’s much of a big difference across both of those worlds. The jobs are still the same. John: What’s the opportunity here for developers? What questions should they ask about their own product in relation to this space? How should they think about it? Hugh: I still hear developers today say they’re out to create something new and create a business, and they always start by saying, “I’m thinking about building an app.” Then it’s, “I’m thinking about building an iOS app.” They’ve heard that people who install apps through the Apple App Store spend more money. It’s completely the wrong lens. If you’re going to build a brand-new product, the first lens you should think through is, first of all, what’s the problem you’re trying to solve, and then what’s the service you can provide that solves that problem? Then after that, you kind of think about the routes in for your potential customers. I’d almost guarantee that if you think in that way first you’ll end up not building an app at all because you’ll realize you don’t need it. Think about the lightweight, small things that will add little bits of value for people and start there. Don’t go super deep on something, because you’d probably just end up building this really complex app where you could actually just have plugged in the service that you’re going to build into multiple places at once. John: Does that involve giving up control that developers are not as used to? People said the App Store involved giving up control, but we’re seeing that erosion for the independent guy. Hugh: A lot of this is defined by where people are spending their time. If you think about where people are spending their time, whether it’s WhatsApp, or Facebook, or Slack, the experience that they’ve designed is very thoughtful. As an example, say you want to open up a bit of functionality in your service through a card that’s embedded in a messenger, like Facebook. It’s okay to give up creative control of how that renders because Facebook have thought about it. Whereas some developers and designers in the past might’ve been so caught up in the design detail of how an interaction should work if they’re going to build the app from scratch. But it’s okay to give up the creative control to the platform because they’ve made all those design decisions already. John: You gave a really interesting talk on our Inside Intercom World Tour about what software companies can learn from shopping centers. Why are historical comparisons like that so important to you? Hugh: History’s usually handy for a couple of reasons. It’s a group of stories and if you want to try and help people understand complex subjects, usually, you relate it with stories. If you look at entrepreneurs, they tend to study history, logic, politics, etc, because they want to learn from the way that people behave and the changing environment and economics, and you can apply that anywhere. History’s also useful as well because it repeats itself. If people have screwed up in the past, you can always refer to those stories and learn something. John: When it comes to platforms, what are the lessons we should take away from those formative years of retail? Hugh: A lot of people get really confused about software platforms and don’t understand the dynamics. The story I use in that shopping center talk is about the company that became Target Corporation. 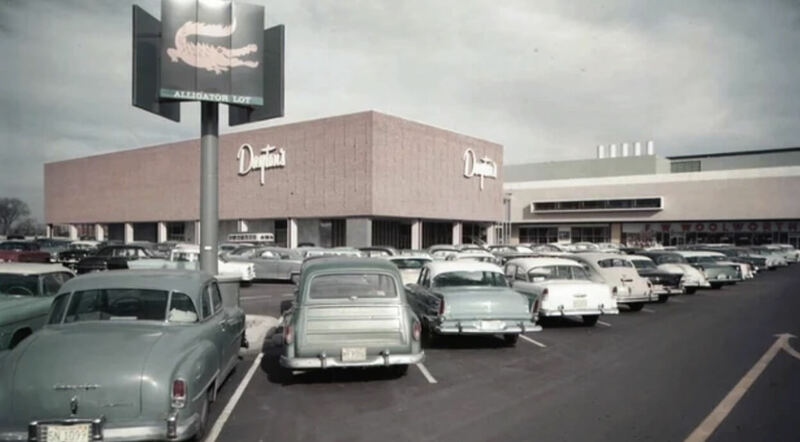 They moved from being a small department store to actually being a landlord and opening up shopping malls. It changed the dynamics of the business and it changed how they scaled. They shared the risk with a bunch of other people. When they were moving into new markets, they partnered with local retailers – that’s the partnership part of their platform strategy. By letting other people in and sharing the success and sharing the risk, everyone grew. That’s typical of normal platform dynamics. Compare that story and how they changed to Facebook, before they launched Facebook platform. John: You were at Facebook when all of that was happening. For a company like that, when you’re opening up, how do you make that change in mindset? How you make that transition into becoming a platform company? Hugh: The first thing is this realization that you can’t do everything. A lot of companies fail because they try and do everything at once. The first part of it’s just a mindset change, like literally opening up your doors, being comfortable with people partnering with you, sharing things with them, sharing the risk, investing in people that don’t work for your own company. It starts there. A lot of companies fail because they try and do everything at once. It’s the same thing with a shopping center. If your department store is one of the anchor tenants, you might be worried about the shops that surround you, that they might do a bad job. That fear will only slow you down from just following through and then seeing if it happens or not. The way to solve a lot of that stuff is by laying ground rules and having policies. Again, the same things apply across both. It’s a mindset change thing to be okay with feeling a bit vulnerable – not worrying too much about what people might do and being more worried about how you can move quickly if they do bad things. John: Staying with history for a minute, we launched our developer program with a blog post that referenced McDonald’s and their Filet-O-Fish. If I’m not disrupting In-N-Out Burger, what can I learn from McDonald’s about software? Hugh: The thing that a lot of people don’t really know about McDonald’s is that three of their products – the Big Mac, Filet-O-Fish, and Egg McMuffin, weren’t invented by McDonald’s Corporation. The franchisees invented them. The franchisees had localized problems that they needed to invent their way out of. The Filet-O-Fish, as an example, the franchisee who invented that was on the East Coast of the United States in a very deeply Roman Catholic area. If you’re Roman Catholic, you can’t eat meat on a Friday, so this guy had basically zero sales on Fridays. He was screwed, so he invented the Filet-O-Fish to solve that problem. The Egg McMuffin was a similar thing. Owning a restaurant is like the airline industry. If you’ve got a low-cost airline, you’ve got loads of planes, and you want to keep them in the sky as long as possible, because you’ve got all these fixed costs you want to cover. If you’re a franchisee, you’ve got your rent, you’ve got all these fixed costs, so opening in the morning will help offset those and help you make money. McDonald’s had no breakfast products, so this dude invented the Egg McMuffin. The funny thing about those stories is, at the time, McDonald’s had a rule book that said, “You can’t bring your own products in, you can’t change anything, we’re McDonald’s, we know everything.” It took them a couple of years to realize in each case they could roll the solution out all over the US and make more money. It’s a good example of being open to listening to the ecosystem, like your platform ecosystem, to get their ideas and help them refine their ideas for the benefit of everyone. Platform dynamics is one of those relatable stories where the benefits of having more people outside of your company focused on you and your success, rather than just yourself, is actually better for everyone. John: Intercom’s Developer Program just launched. You’re the senior product manager for developer experience. What’s Intercom’s vision in terms of working with third parties and developers in the platform? What are you trying to build? Hugh: We’re basically, ourselves, trying not to build all the things. We’re growing really fast. We have more than 15,000 customers now, and the more customers that we have, the more different tools they will use. They’ll be in different verticals, they’ll have different problems that they want to solve, and we’re never, ever going to build all of the things that solve all of those problems all the time. We’re never going to build all of those integrations. What we’re doing is opening up the platform to make it easier for third-party developers and partners to plug in and help us solve those problems. Hopefully, we help them solve a problem in return too. We’re doing things like creating discoverability mechanisms for these things as well. John: The sell to developers is pretty clear, but what’s the benefit for Intercom customers? Hugh: The benefit is basically for every dollar that you pay us, hopefully, you get more value out of the ecosystem that we’re building. Take onboarding, the process of getting your data into Intercom or plugging it into your existing tools. If we can make that as frictionless as possible, like a click instead of writing lines of code, we’ve done our job. From a flow perspective, if we can make it so you don’t need 10 different tabs open at once or have to go through clicking something 10 times to make a simple change, if we can automate a lot of that with our partners, hopefully you can get more value out of Intercom. John: Many of our listeners come from early stage companies, and their product might be still trying to get some traction. If they’re looking to integrate with a platform to kick start that, what should they be considering to make that integration a success? Hugh: The first thing is just understanding the platform and how, or even if, it’s complementary to what you’ve built or are intending to build. A lot of people look at plugging into a platform, or integrating with it, just for the distribution opportunity. That’s completely wrong. You’re not going to build something useful for customers, or you’re highly unlikely to, if you just think about distribution as the reason you’re doing it. Definitely try and find the small areas where you can integrate and where there’s a bit of lightweight mutual value exchange for you and for your customers. The other thing to do would be try and get involved. The best ideas in the world are always versions or mixes of a bunch of other ideas. The best way to share ideas with anyone is person to person, so whenever a platform is having a developer event or any of those kind of things, go meet the people, develop a relationship with them, share your ideas, listen to theirs, and from that, hopefully you can come up with brand new innovative solutions to customer problems. John: Thanks for chatting, Hugh. It’s been really insightful.